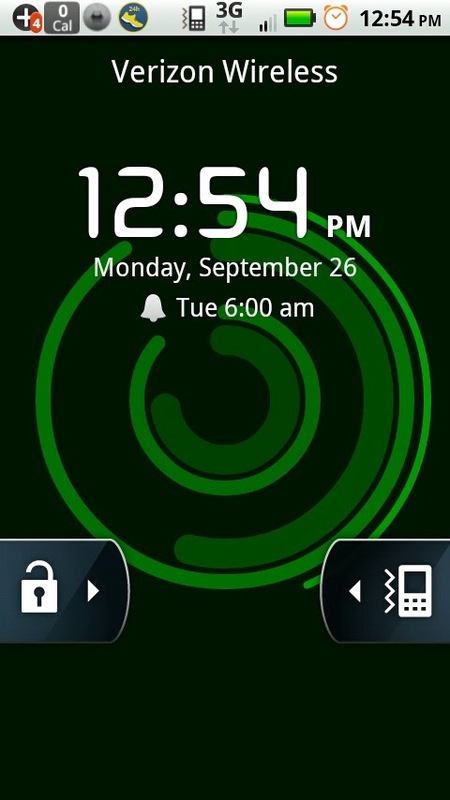 There is a problem with the Droid X unlock screen. Take a look. Do you see a problem? Well, here's a hint: The phone is currently locked and in vibrate mode. Still don't see a problem? Here's another hint: The slide on the left unlocks the phone, and the slide on the right toggles vibrate mode on and off. The problem is an inconsistency. The slide on the left shows the result of moving the slide; not the current state of the phone. The slide on the right shows the current state of the phone; not the result of moving the slide.